I’m poking around on this site at the moment because I’d like to bring you bigger, better things… hopefully in a pretty and readable format. If you click a page and it takes you somewhere odd, or if a link doesn’t work – or if you arrive on the site and it looks like something from 1997 – don’t panic. It’ll be back to normal soon, promise! You can always reach me on info@francescaburke.com if you have questions. 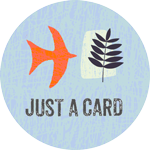 Previous postNews: Free UK postage on everything! EVERYTHINGGG. Next postIntroducing a Stories Blog and a Patreon Campaign!